My name is Erinys Sonair. 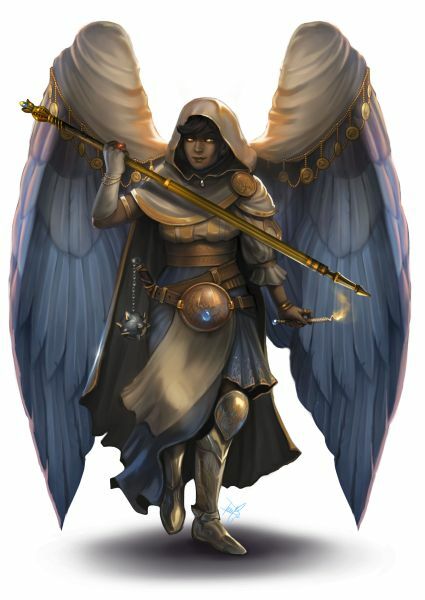 My sister Calypso and I are the Aasimar descendants of Rovanus. When we were young, we trained to be healers at a temple for Sarenrae. One day when we were about 23, there was a raid by a group of marauders. They slaughtered many bystanding villagers. Our town’s watch was ready to die to defend the surviving villagers. They took us into the dinosaur infested jungle seeking protection for us. On the way to our backup-plan hut village, we were ambushed by the marauders. My sister and I were separated and, to get away from the barbarians screaming like banshees, I ran deep into the forest. After what felt like hours I found a stream. I cried about what had happened. The tears sealed my fate. Drawn by curiosity, a newly hatched spinosaurus approached. Realizing my destiny, I took in the lone dino and it became my companion Raze on my path of the druid. After a long time of training, i set out with an adventuring party just to see my sister again! After we split from the group, we busted a slaving organization, bought some bling (including awesome lightning shoes), took one of the slave boats (paying the ex slaves quite a lot to row us) and set off to port shaw, not yet realizing the dangers that lay ahead.